Status: Out on Region 1 DVD & Blu-Ray. The Last Days of Disco, from director Whit Stillman, is a cleverly comic look at the early 1980s Manhattan party scene from the vantage point of the late nineties. At the center of the film’s roundelay of revelers are the icy Charlotte and the demure Alice, by day toiling as publishing house assistants and by night looking for romance and entertainment at a Studio 54-like club. 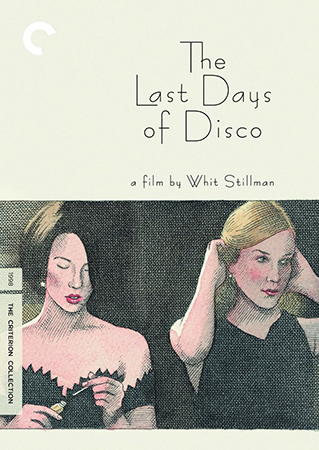 Brimming with Stillman’s trademark dry humor, The Last Days of Disco is an affectionate yet unsentimental look at the end of an era. 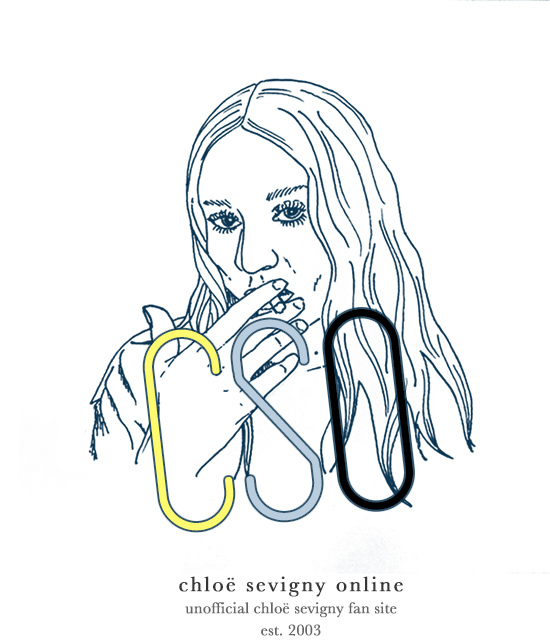 Chloë Sevigny stars in the film as Alice Kinnon, a soft-spoken but intelligent young woman who works at a publishing house with her more extroverted and forthright friend Charlotte. Alice and Charlotte converse throughout the movie about romance, dating and men as they frequent the city’s popular disco-themed nightclub looking for love. 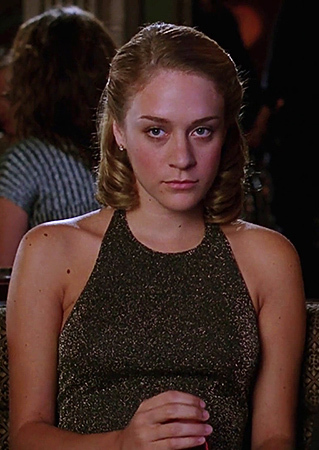 • Since completing Last Days of Disco in 1998, Chloë Sevigny has worked with director Whit Stillman on both the Amazon.com pilot The Cosmopolitans (2014) and the 2015 film Love & Friendship, the latter of which also stars Chloë’s Disco co-star Kate Beckinsale. Chloë also remains close friends with co-star Tara Subkoff, with whom she has since collaborated on e.g. Subkoff’s fashion label Imitation of Christ and her 2015 feature film debut #Horror. Chloë also worked closely with co-star Matt Ross on HBO’s Big Love from 2006 to 2011, in which they played siblings. Chloë and Ross both appear in the 2000 movie American Psycho, as well, but do not share any scenes. • The disco seen in the movie was actually an old movie theater being renovated in Jersey City, New Jersey. • According to IMDb, while director Whit Stillman wanted Chloë Sevigny to play the role of Alice, the production company wanted to cast a bigger name for the role and put in a call to Winona Ryder’s agent with a firm offer. However, because Ryder’s agent took four days to return the call and Chloë had already read for the part and done well, the producers pulled back their offer to Ryder and cast Chloë instead. • According to IMDb, Chloë was cast in the role of Alice in part on the recommendation of film editor Christopher Tellefsen, who also edited her performance in Kids (1995). The Last Days of Disco has received some mixed but mostly positive reviews over the years. Although not a commercial hit, the movie has become something of a cult classic for its highly articulate young characters and its nostalgic embracing of disco culture. The Last Days of Disco has received 1 award and 1 award nomination. I think The Last Days of Disco is one of those movies you have to watch a couple of times to fully appreciate. Although its central characters are never entirely likable, Disco is also not a “character-driven” story in the traditional sense. If you feel like you can’t find a character to relate to in the film, you are actually on the right track, because you’re really not supposed to either root for a particular character or join them on some special journey. Instead, you’re meant to enjoy their conversation; the precision of every word, the frankness of the observations and the comedy in the irrationality of the high style with which the characters speak of the silliest of subjects. It’s once you really start catching writer-director Stillman’s jabs at some of the little absurdities of the lives and troubles of his characters, not the least as presented to the tune of some of the most iconic ’70s disco hits, that you realize that it doesn’t really matter whether or not you like any of these people, and you’re better able to tap into the humor that is in fact strewn all over the film. And it’s really quite terrific how it all comes together. Below are some Last Days of Disco-related links that may be of interest to you.